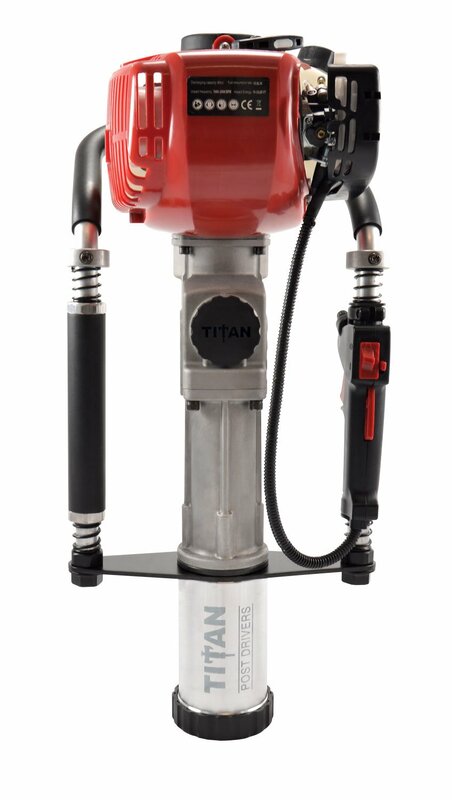 Powerful and portable gas-powered post driver. Easy to lift, move, and carry down the fence line. Drives posts in half the time of a manual driver. 3¼" barrel accepts posts up to 3" in diameter. Includes 1" and 2" adapter sleeves for driving posts, rods, or rebar smaller than 2" in diameter. Comes with tool kit for servicing and protective storage case.